What if it starts raining on an evening? What if I didn’t prepare the dosa batter on a holiday? What if there is no upma rava in my kitchen on a holiday? What if some guests turn up at my place on an evening when I don’t have much to serve them? Simple.. I will rush into my kitchen and return with a plate of piping hot aloo pakoras or onion bhajiyas 🙂 , the savory fritters that are a very popular component of the Indian chaat. 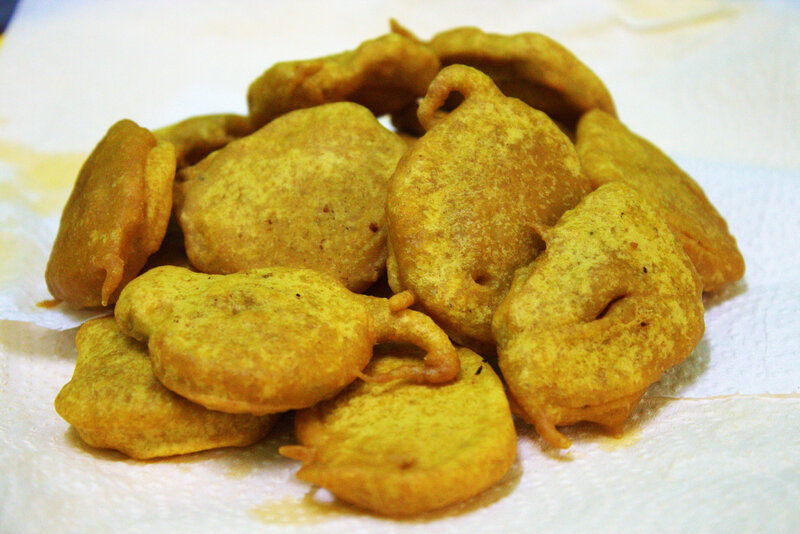 Rich in calories, pakora is a deep fried snack available all across the country. Vegetables like onions, potatoes, spinach, cauliflower, raw plantain and green chillies are dipped in spicy besan (gram flour) batter and then are deep-fried. Pakoras are all-time favorite snacking option for Indians and perfect for a rainy day. These crispy treats are delicious when teamed up with a cup of hot coffee or tea. Majority of Indian population relishes vegetarian pakoras and bhajiyas like palak pakora, bhajiyas like palak pakora, pyaz bhajji, bread pakora, paneer pakora etc. But the trend to savor non-vegetarian options like chicken pakora, fish pakora is also on rise. Ingredients: Any one of the vegetables – Potato, Raw Plantain, Paneer, Capsicum; 1 cup Gram flour (besan); 2/3 cup of water; 1 tsp Asafetida, 1/4 tsp Turmeric Powder; 1/2 tsp Red Chilly powder; 1/4 tsp Garam Masala; A pinch of Baking Soda or you can use Soda too; Salt to Taste and Oil to deep fry. In a mixing bowl, take the gram flour, red chilly powder, turmeric powder, salt, asafetida and garam masala. Add 2/3 cup of water and mix it into a smooth batter without any lumps. Peel off the potatoes or plantain and slice those thinly. Dip the slices in the batter evenly and gently place in the medium hot oil for frying in the pan. Turn over when one side is cooked partly; flip them and fry the pakoras till those are golden in color and crisp. Take them in a bowl covered with paper kitchen towel to remove the oil. Serve them hot with some mint chutney or tomato sauce. Helva (later halwa) was an import from the house of Suleiman the Magnificent (1520-1566). 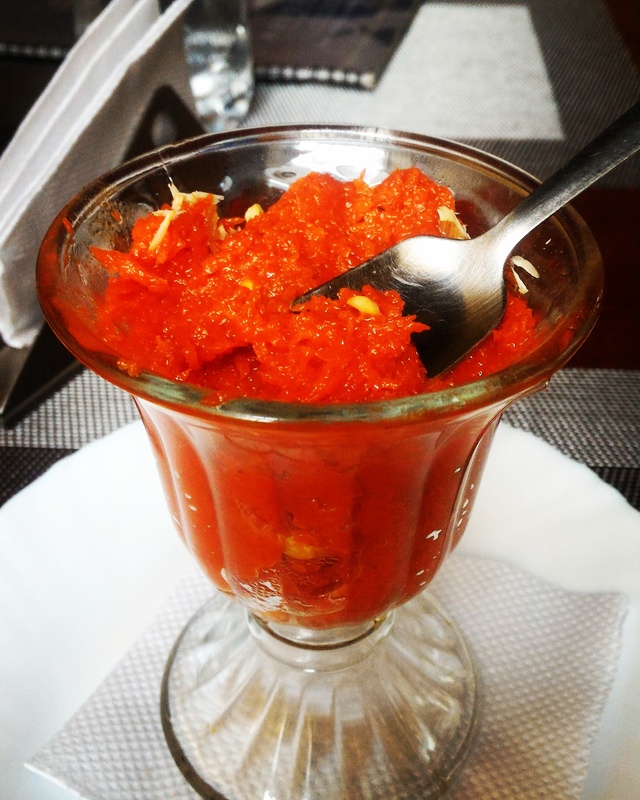 It arrived in India as a dried, grainy mash that was rehydrated with rosewater, sugar and ground pistachios to get creamy, velvet-like rich texture when the traditional mixture of ghee-sugar along with mewa was added to it. 5-6 tender juicy carrots – yields around 2-3 cups of grated carrots; 2-3 cups of full fat organic milk; 3 tbsp ghee/clarified butter; 8-10 tbsp organic unrefined cane sugar or regular sugar or as required; Cashews, almonds, pistachios and golden raisins; 3-4 green cardamom crushed (I like it this way, or else these many be powdered too) and a pinch of saffron strands. India – the land of diversity! Diverse in its cultures, religions, landscapes, and traditions. Not only these, but India is diverse in its cuisine too 🙂 . A mixture of flavors and tastes reflecting a variety of cultures and regions. It is like an ocean full of flavors, and culinary techniques. Some call it ‘overtly spicy’, some ‘charmingly rustic’ and some ‘elaborately royal’. With its assortment of spices and aromas, India’s cuisine is best seen on the bustling streets of its cities. From the traditional to the mix-and-match modern, from the saucy to the royal, street food is affordable and fast, satiate the belly and entice the senses. And the long coastal belt of India gives India its favorite tiffin – idli, vada and dosa. The coconut chutney is one among the several relishes in coastal Indian cuisine, including the tomato khatta, curd dips and wood apple chutney. Take Kerala – Appam, puttu and kadala (chick-pea) curry. 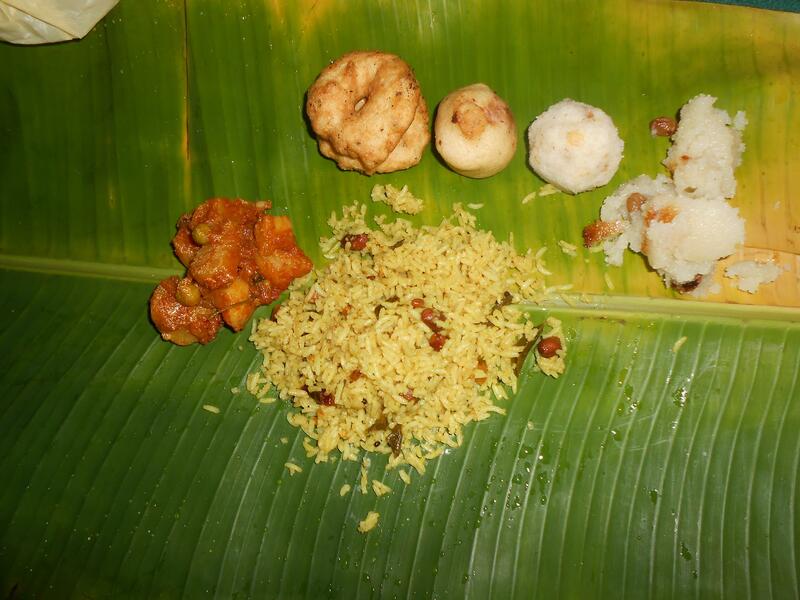 Tamilnadu – Chettinad food and dosas. Karnataka – It’s Dharwa Peda and Bisi bella bath. Andhra Pradesh – it’s tasty Hyderabadi Biryani and seafood pickles. Mumbai – Manchurian biryani, sushi noodles with masala. Kolkata – eat on the streets without any qualms. Zesty puffed rice for as little as Rs. 5. Lucknow – it’s kababs and biryani. Mathura – the tasty peda, Punjab – Chicken Tikka Masala and the tasty stuffed parathas. Each of the seven states in North East India has its distinct culinary history and ways of cooking, but the underlying principle remain the same – organic, wholesome and uncomplicated! Oh my God, all this makes my mouth watering 😉 🙂 . And thus, here I am, to share my food encounters of my daily life as well as during my travels.